Society at large and the church in particular always struggle with how to respond to harmful behavior. What are we as Christians to do about it? Does this then mean that God is only love and no longer holy and just? Not at all, but this is the very claim made by many today. They read, for example, the long list of sins in Romans 1, then conclude from Romans 2 that since everybody sins, none of us are allowed to call out others for their sin. But this is very bad logic, and spiritually dangerous in that it may lead to the condemnation of many for failure to repent. This argument admits that all of those things listed as sins are indeed sins, so to approve or dismiss them means we no longer care whether anything is a sin anymore. Yet if that were true, there’d be no point to most of the New Testament regarding Christian behavior. Paul’s letter to the church at Corinth is filled with rebuke for their sins, yet in chapter 5 he told those sinners to throw one particular individual out of their fellowship for a sexual sin. Rom. 2 does not say that nothing should be called sin anymore, but that those who indulge in one kind of sin cannot consider themselves better than those who indulge in a different kind of sin. However, the church has the duty to expose and oppose those who indulge in sin, as illustrated by the example of 1 Cor. 5. The promiscuous cannot look down on the homosexual, the homosexual cannot look down on the embezzler, and the embezzler cannot look down on the liar. Yet all of them are sinners, and no one’s sin is to be excused. If Jesus’ death and resurrection mean that God no longer judges anyone for sin, then of what purpose will be the future judgments, whether for salvation or reward/punishment? To say that God will only judge on the basis of whether a person was “loving”, and to define “loving” by whether they ever criticized someone else for their behavior, is both unscriptural and hypocritical. Jesus’ sacrifice does not mean everyone will go to heaven,6 and since that’s the case, there will be a judgment concerning faith and holiness, not simply behavior. Not once in the NT does anyone say or imply that because of what Jesus did, we are no longer to call anything sin, or that if we admit it’s sin we still must not do anything about it. Now when it comes to crimes, this is defined by a given society’s secular laws. Something can be a crime without being a sin (e.g. spreading the Gospel), and something can be a sin without being a crime (blaspheming the name of God). But what neither of these can be is a “mistake”. Mistakes are accidents or actions done in ignorance, such as making a wrong turn or getting the wrong answer to a math problem. But sins and crimes are deliberate actions, and it matters not how often we do them. If people made the same argument about crime as they make for sin, they would claim that since everyone breaks the law, then we should do away with courts and judges. Yet even the most lenient among us admit that society would be in a dangerous state of chaos without such things. And that being the case, they should also admit that the church would also be in such a state without judging sin. We must stop calling crimes and sins “mistakes”. A first offense may indeed be treated differently, yet even then there must be consequences in order to prevent or discourage the “mistake” from turning into a habit. People cannot learn from their mistakes if they don’t know they did anything wrong, and how can they know they did something wrong if there is to be no judging? Certainly even some repeat offenders can be reformed, but such reform requires consequences, not just promises and remorse.7 It’s a known fact as well that some of the worst repeat offenders are the best liars. And people don’t sneak around and plan ahead of time to “make a mistake”. 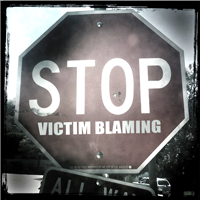 Regardless of the effect or lack thereof on the offender, we must above all consider the victim. Only the victim can forgive; others cannot forgive on their behalf. And the victim must not be shamed or pressured into forgiving, as if failure to forgive is the moral equivalent of the injustice they suffered. Forgiveness without evidence of repentance (not just words of repentance) tells the victim that their suffering was trivial, that there will be no justice, and that any lasting suffering is to be born by them alone. And when the church decrees that the victim forgive on the basis of an apology alone,8 it tells the perpetrator that they have a license to sin, since after all, nothing is to be judged as long as they say they’re sorry. This exposes a terrible scourge eating away at the church today. Whether a Christian is offered grace or condemnation is being determined not by changed hearts but by a person’s status. People who are popular or deemed otherwise important or “righteous” are given slaps on the wrist at best, while those who are of no reputation are judged and condemned as bitter and unloving. This blatant double standard, this hypocrisy of crying “Do not judge!” while continuing to judge victims who cry out for justice, has degraded the Christian faith and ruined any hope of winning the lost. When the surrounding heathen culture knows something is a crime worthy of severe punishment while the church thinks grace means no consequences, we can be sure that the church is dead and rotting. Not even God forgives the unrepentant, and if we come to God crying for forgiveness many times for the same sin, do we really think God will call it repentance? When we continually repeat a particular sin, we show by our actions that we love it rather than hate it. And if no one in the faith ever confronts or rebukes us, it will continue. It’s actually worse if they confront but dismiss as a “mistake”, since it makes you treat known sin as trivial. And if your sin is trivial, then any victims of your sin are seen as the villains if they don’t automatically forgive you. But it is not loving to excuse or trivialize sin, and it is not unloving to seek justice. We as Christians must face the fact that God is both loving and holy, and that grace is not a license to sin. Mercy is for the broken, not the entitled. God is the defender of the weak and oppressed, but the enemy of the arrogant and offending. The same Jesus who said “I do not condemn you” also said “Sin no more” (John 8:11), and even “Stop sinning, or something worse may happen to you!” (John 5:14). What makes this “the age of grace” is that God does not immediately punish all wrongdoing, but there will come an age where Jesus “rules with a rod of iron” and there will be zero tolerance for sin. Sin is not something God only judged in the past. And we cannot read the NT without understanding that we are charged with keeping the church pure (1 Cor. 5:11-13). We must start taking sin seriously now, or God will take it seriously later. We must defend the victims now, or God will defend them later. Love does not tolerate sin but instead cares enough to confront it. The price Jesus paid so that we could be forgiven should make us all the more diligent to confront and expel sin from among us, not all the more indulgent due to a twisted definition of love. And if we claim to love God, we dare not ignore his holiness. What Jesus said in Luke 17:3-4 may appear to grant forgiveness with just a verbal apology, but even there the offender must be rebuked. And it doesn’t say “says they’re sorry”, but “repents”. To repent is to renounce and turn away.